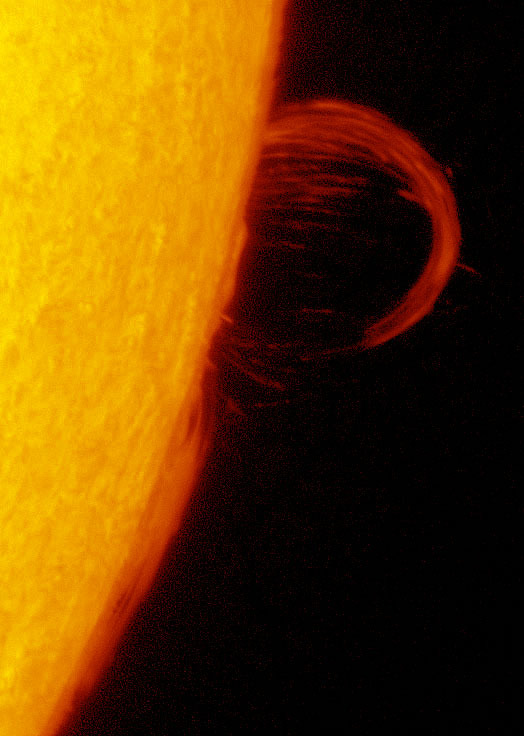 A Good Day For Prominences, a Bad Day For Clouds... 30th June - SolarChat! Todays proms looked great, but for me continual cloud meant this was about as good a view as I was going to get... Give it a minute for the animation to load, and right click for full size. Taken with the Double50. Hopefully less clouds in the days ahead. Wow! they look enormous I presume they are the group of filaments that were on the disc over the weekend. Excellent proms, Mark. No chance of seeing anything here this weekend.